Posted on June 19, 2018 at 2:00:00 pm by Erin O. These are just a few of the great events happening in Fort Wayne in July. For a complete list of events, browse the Visit Fort Wayne Calendar of Events. Bring your friends and family to a FREE concert celebration of the American spirit! The Fort Wayne Philharmonic will perform patriotic anthems, with fireworks accompanying the finale. Bring a blanket or lawn chair and enjoy the annual 4th of July fireworks show! 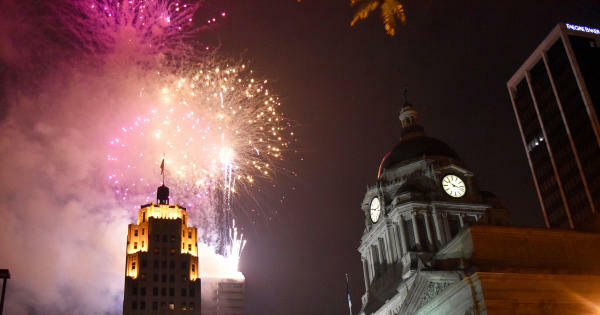 The fireworks will launch from the top of the Indiana Michigan Power building, so you won’t find a bad seat in downtown. The show begins at 10PM – immediately following the conclusion of the TinCaps game! Come out to the ballpark and cheer on the TinCaps this month. Experience the excitement first-hand at one of the best Minor League Baseball stadiums in the country! Come out on Thursday nights all summer long to the historic Foellinger Theatre for a free, family-friendly movie! The outdoor theater provides an excellent setting for a summer movie. Grammy-winning producer, writer, and performer, George Clinton, will perform his iconic tunes at The Clyde Theatre! Experience the combination of genres—jazz, rock, pop, classical, even gospel—that made Clinton’s style of funk so powerful. Bill, a grieving undertaker, is on the brink of losing his job, when he accidentally brings a dead clown back to life. Join First Presbyterian Theatre for this funny, heartwarming—and slightly macabre—story of hope. 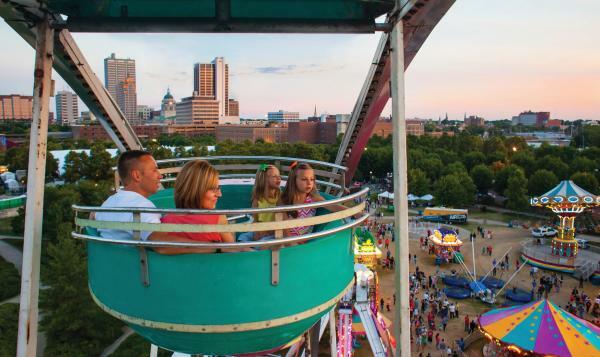 The annual Three Rivers Festival offers excitement for families and friends in downtown Fort Wayne! Kick off the celebrations at the Parade on July 14 – weaving through the streets of downtown. July 13 – 21, enjoy festival fare from the Food Alley and events including the Chalk Walk, Art in the Park, and Children&apos;s Fest. Don&apos;t miss special concerts all week long, featuring Here Come the Mummies and so many more! This month, enjoy tons of live music options around the city! Grab your tickets to one of these great concerts coming up in Fort Wayne. While some gardens feature art, this garden is its own work of art. “Art of the Garden” blurs the line between landscape and fine art, interpreting natural features in a human-made aesthetic experience. This unique exhibit was created by local artist Daniel Dienelt and landscape designer Chad Shaw. Open Streets will temporarily close the street to vehicles and OPEN it for walking, biking, roller skating and more. This free, family-friendly event includes interactive hubs with live music and fun activities to get you moving! Enjoy this old time festival named one of Food Network&apos;s “All American Festivals.” Just a quick drive outside of Fort Wayne, find delicious food, live music, a parade, fireworks, vendors, kids rides, pickle factory tours, and more. Catch the smooth baritone and dark-hued tunes of outlaw country artist, Cody Jinks! There’s a reason Rolling Stone has described his sound as “rule-changing country music.” Grab a ticket for this all-ages show! 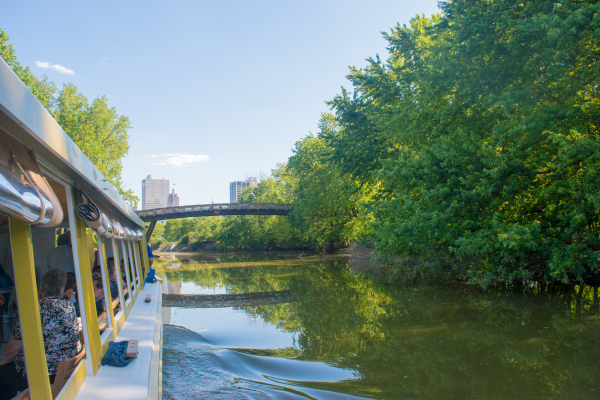 Enjoy a 45-minute tour aboard Sweet Breeze, our city’s fully accessible canal boat! 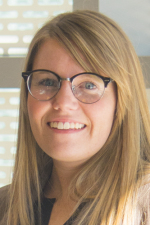 Sit back and relax as you learn about Fort Wayne’s past, the current Riverfront development, and our rivers’ future possibilities. 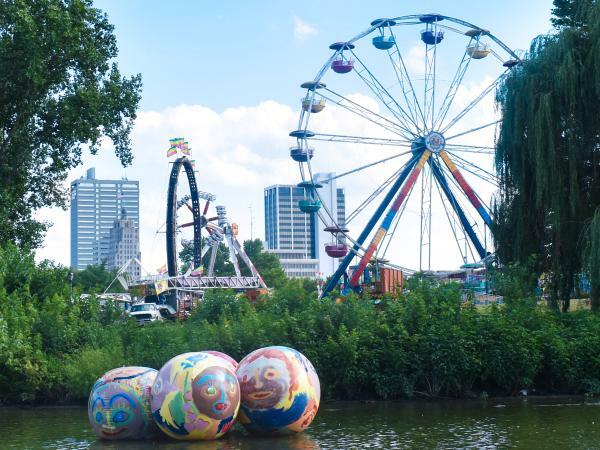 Head out to the Allen County Fairgrounds for six days of carnival rides, animal shows, live music, delicious fair food and more! Each day offers special events you won’t want to miss. Enjoy a stroll through Fort Wayne&apos;s outdoor farmers markets this summer. Stock up on locally-sourced produce and handmade goods for the week! Country Music Hall of Famers, Alabama, will perform their classic hits live at the Memorial Coliseum! Join the trio and special guest, Restless Heart, for an unforgettable night of music. Come show your support for the LGBTQ community with two days of fun for the whole family! Check out the live entertainment, food, vendor markets, beer tent, kids activities, and more! Skip the break room, and join us for lunch downtown! On Thursdays all summer long, enjoy the best food truck fare and live music with family, friends, and co-workers. See you at Freimann Square for a can’t-miss lunch experience! Experience the sights, sounds, and smells of the American Revolution! Spend the day with Continental Army and British forces re-enactors, as they bring the daily activities from this time period to life. This cult classic hits the stage as a charismatic newsboy leads a ragtag gang of “newsies” who dream of a better life far from the hardship of the streets. This feel-good musical has a cheerful mix of a stirring story and a catchy score. Explore one of the largest collections of Winslow Homer’s wood engravings ever to tour American museums. The exhibit focuses on Homer’s skillfully executed pieces created in the years before the Civil War and the following decade—both mourning a country in turmoil and celebrating its rebirth. Celebrate the creative energy stirring and moving in the Broadway corridor of Fort Wayne. This one-day street festival features unique art, music, food and brews. Every Friday night this summer, enjoy free outdoor music and entertainment from 6:30PM to 8:30PM! Bring a lawn chair or a blanket and join the fun at the Jefferson Pointe fountain.